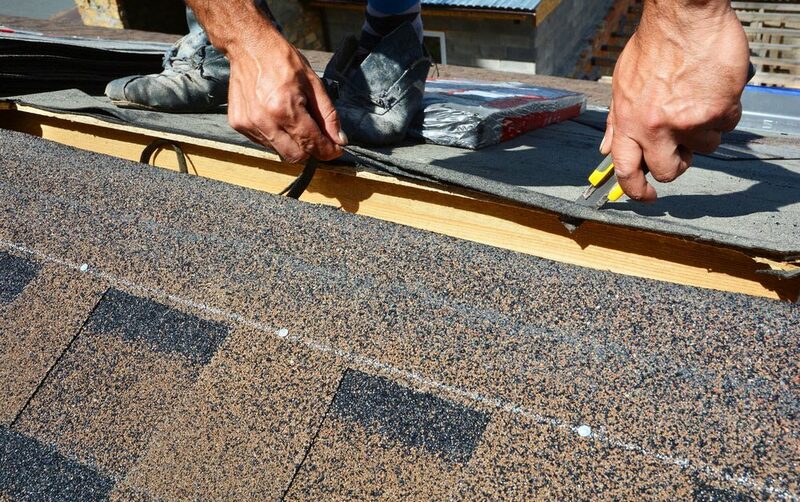 There are many questions that homeowners are faced with, but when it comes to the roof, one of the most common questions that homeowners must ask themselves is whether they should repair or replace their roof when it is damaged. There are advantages and disadvantages to each approach, but to help you make the best decision for your situation, here are a number of questions that you should make sure to answer before moving forward with either method. Question #1: Are You Under Any Time Constraints? How quickly does your roof need to be repaired? For example, are you leaving on a business trip or vacation in the next two or three weeks? Do you have a leaky roof that needs to be fixed sooner rather than later? If something like this applies, then repair is your only option. However, if you are not under any time constraints, then replacement is an option. Question #2: How Old Is Your Roof? Consider the age of your roof. If you just moved into your home, you may not know how old your roof is, unless you asked before you bought it. However, you may be able to hire a professional to inspect the roof and give you an estimate of its age. If the roof is no more than halfway through its life cycle, then a repair is probably a suitable option. However, if it is close to the end of its life cycle and it still has a warranty on it, then replacing the whole roof makes more sense. Question #3: How Much of the Roof Is in Need of Repair? It is also important to take a close look at how much of the roof is in need of repair. If it is a small area or two, then you may be able to save money by purchasing the shingles and performing the repair yourself. However, if the repair is 30 percent or more of your roof, a roof replacement should be strongly considered. It would take just as much work—if not more—to repair the roof as it would to replace it. Question #4: How Much Extra Would It Cost to Replace the Whole Roof? Before you decide to repair or replace the roof, you need to take a look at how much both methods will cost you. The actual cost will depend on how much of your roof needs to be fixed. So, while a repair may cost you “X” to fix your roof, it very well could only be 25-35% more to replace the entire roof. Therefore, roof replacement would offer the greatest value. Contacting a roofing professional for an inspection is certainly recommended. Question #5: How Many Layers of Shingles Does Your Roof Currently Have? Some people don’t realize it, but it is possible to have more than one layer of shingles on y our roof. However, your local building codes will restrict the number of layers you can have one your roof. Generally speaking, you can’t have more than two layers of shingles at any one time on your home. Financially speaking, it will be more expensive to remove the old shingles and replace them with new ones than it would be to simple add a new layer of shingles over the existing layer. Question #6: Is There Any Moisture Damage to the Roof Deck? It is important that the roof underlayment and decking is inspected for any signs of moisture damage before deciding to repair or replace. If there are signs of significant moisture damage, then it won’t do any good to simply shingle over them. Instead, your best option is likely a roof replacement. The aforementioned questions will help you determine whether you should repair or replace your roof. If you are still uncertain or you would like to request an estimate, contact the experts at Bullard Roofing.